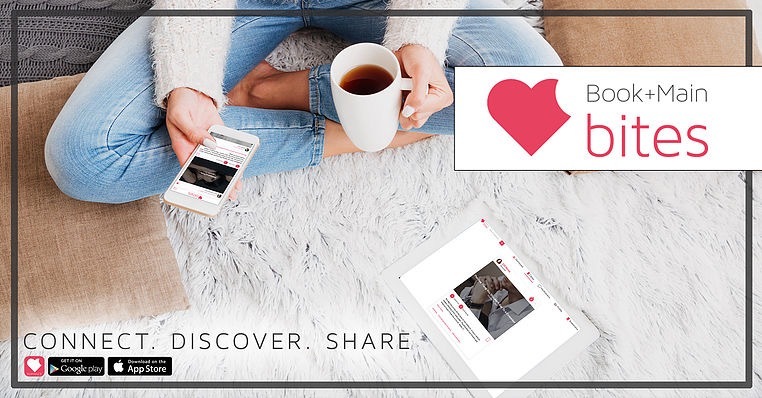 This awesome new platform to connect readers with their favorite authors just launched! Super excited about it, too. Facebook is not my favorite place to stay connected with authors I love. Mostly because my newsfeed gets so clogged with other stuff. Which is totally fine! But now that Book+Main Bites has launched, it’s an EASY way to find out what’s new from your favorite authors, or to discover their back list. Basically how it works is you create your profile. You can get the app too so it’s scroll-able from your phone. Then you click to follow 5 or more authors. Us authors will post “bites” or teasers / excerpts from all of our books. I’ll be posting EXCLUSIVE teasers there, because it’s JUST for this purpose. To give YOU more than just the blurb and to read more than just small snippets on the teaser graphics we share to platforms like Facebook, Instagram and Twitter. Oh! And December is the beginning of NEW content to share with you for the UPCOMING NEW RELEASE for the second book in the River Bend series! OMG, super excited! ← A new River Bend novel is coming!